Throughout life you will meet one person who is unlike any other. This person is one you could forever talk to. They understand you in a way that no one else does or even could. This person is your soul mate, your best friend. 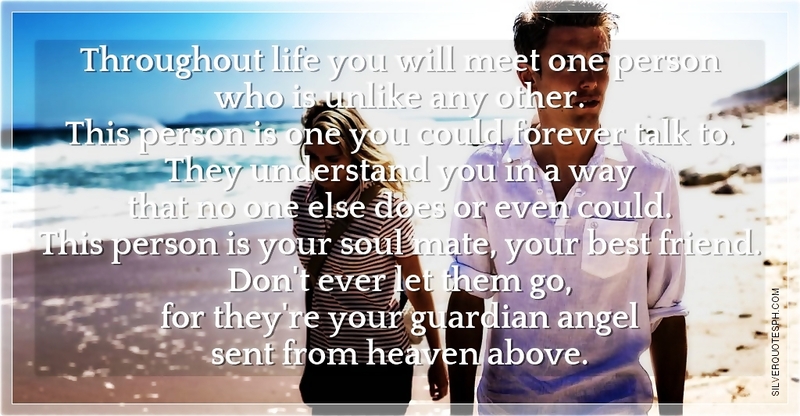 Don't ever let them go, for they're your guardian angel sent from heaven above.